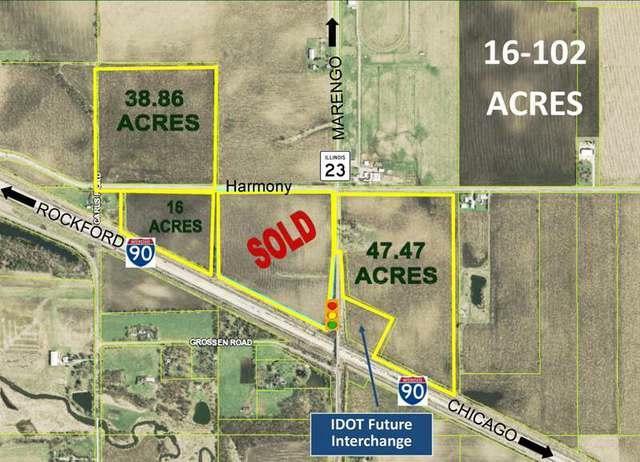 3 parcels totaling 102.33 acres. I-90 exposure, borders Route 23 and Harmony Road. The city of Marengo's southwestern sub area plan reflects potential zoning as Regional Commercial, Office Research or Light Industrial which includes industrial, warehouse, retail development, hotel and a variety of other uses. Only 5 miles to downtown Marengo (Route 20). Individual parcels subject to offer. Contact Heather for more information.